CeraNet recommends Cisco’s hardware firewalls to protect your servers and data. 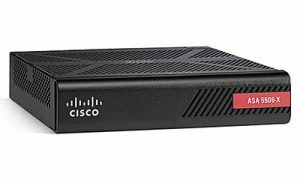 Cisco Adaptive Security Appliances (ASA) offer intelligent threat defense and secure communications services that stop attacks before they impact business continuity. These hardware firewall devices enable CeraNet to offer a comprehensive security at an economical cost. Prevent unauthorized access to your server. Managed firewall services can block unauthorized sign in attempts on your server protecting your data from hackers and intrusion attempts. Managed firewall services can regulate the data that flows from your server to the Internet. This means that if an unauthorized user(s) does gain access to your server, the managed firewall service can restrict what information gets out without your knowledge. Prevent access to specific services. Managed firewall services are normally set to block services, specific communication ports, and dictate which applications are able to send or to receive data over the Internet. Provide a detailed audit trail and log activity. Our managed firewall services can be configured to generate automatic reporting on access and data transmissions. Audit trails are required for many regulatory restrictions (HIPAA, PCI, Government Network Security Regulations, etc.) and store critical information on security threats and vulnerabilities. Provide network masking and to hide multiple servers. Managed firewall services include Network Address Translation (NAT), to map the “hidden” internal server IP addresses to a single public IP address. This helps to drastically reduce visibility of your servers and data from potential hackers. Provide Virtual Private Network (VPN) access. CeraNet offers secure virtual private network system access for server management as part of our managed firewall services. This enables you to securely communicate with your servers through industry leading encryption over the Internet. Initial setup is for server management access. CeraNet can offer other managed firewall devices as needed and end-user setup / config for secure access using the VPN, special compliance configuration, and other services as needed.